One of the great young talents in Washington wine, Andrew Januik is the son of Mike Januik, owner and head winemaker at Novelty Hill-Januik winery and former head winemaker at Chateau St. Michelle. Since his teenaged years, Andrew has worked at Novelty Hill-Januik Winery and has taken on a large winemaking role with his father at Januik and Novelty Hill. In 2011 he launched his new label and made his first wine, Stone Cairn, which was very well received by critics. Andrew is not only a super talented winemaker but a really great guy to chat wine with. Having worked harvests across the globe, he deftly applies what he has learned from other winemaking regions into his wines. Andrew’s winemaking style pushes intensity while reaching a nice mineral-driven backbone. I find this somewhat akin to warm vintage Bordeaux wines, showing both muscle and tension. The new releases were some seriously good wines. Look for his gorgeous 2015 Andrew Januik ‘Lady Hawk’ Cabernet Sauvignon (WWB, 93) which is wonderfully dense and layered. Andrew is now producing a Syrah based wine the ‘Los Molinos’ (WWB, 92) which showed marvelous terroir, mouthfeel and range. 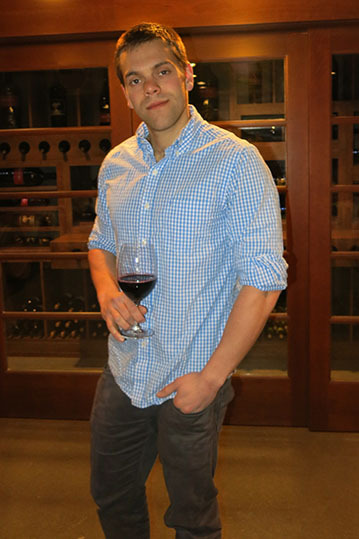 Learn more about these fantastic wines at http://andrewjanuikwines.com/ Here are the great new wines by Andrew Januik.